Consul General of Italy Francesco Genuardi takes the stage at the presentation event. 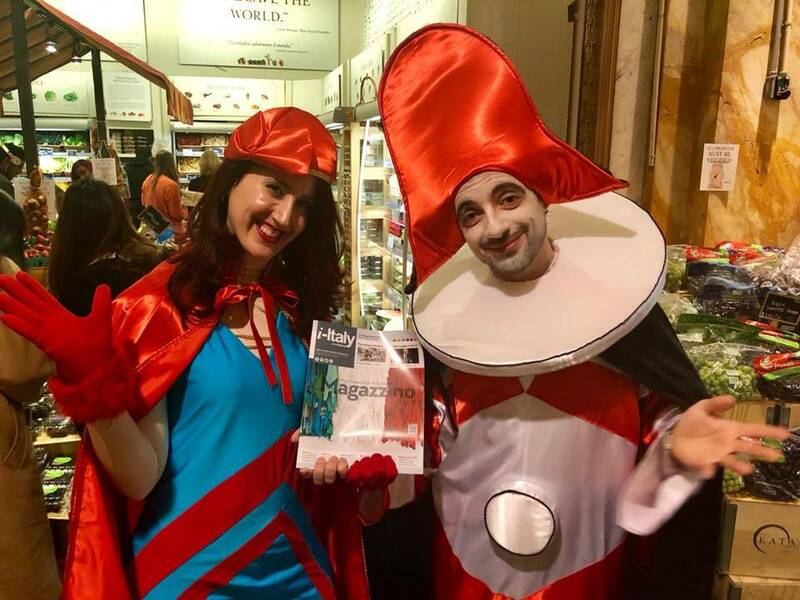 From January 15th until February 25th, Eataly’s New York locations, Downtown and Flatiron, as well as Eataly Chicago, will be celebrating the carnival season this year! 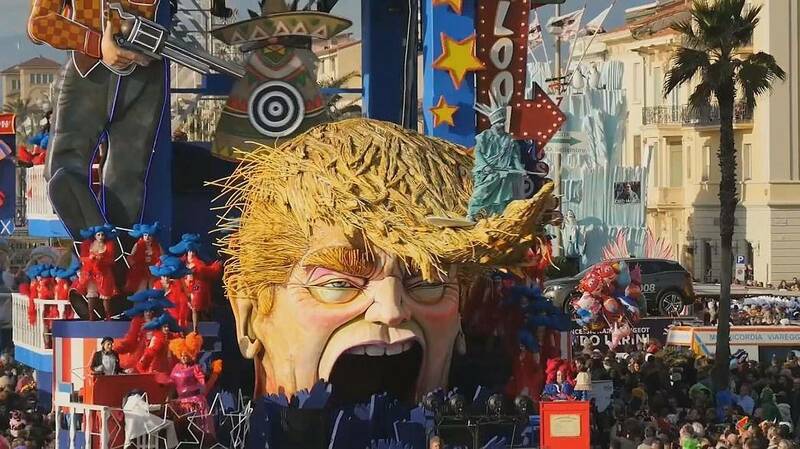 Every year in Viareggio, a seaside city in Tuscany, there are parades and festivities to celebrate the highly anticipated Carnival. In honor of this 145-year-old event, the New York and Chicago Eatalys are promoting Tuscan products, menus, and specialties to capture the essence of this iconic celebration. 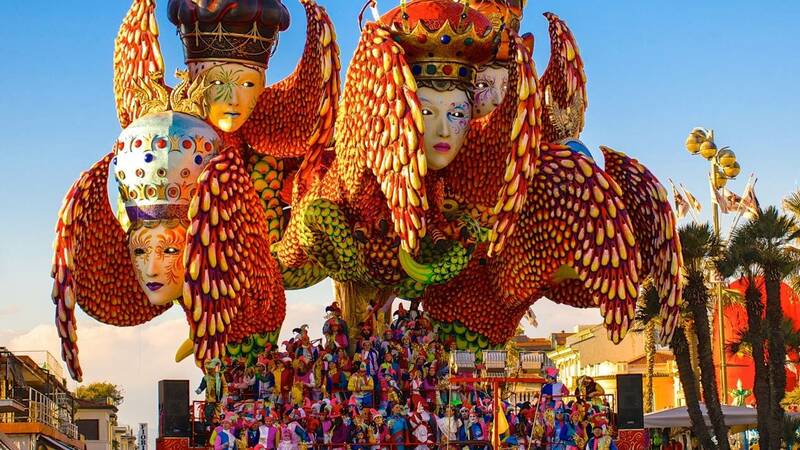 Traditionally, the Carnevale di Viareggio is a month-long festival filled with merriment. Amongst the feasts, and partying, there are parades every Sunday with colorful papier-mâché floats that fill the streets. This year the Carnival is from January 27th to February 17th. La Scuola di Eataly at the Flatiron location was packed with people from the press and the media world. There were also travel and food writers, italophiles, and some illustrious personalities who all got together to celebrate the Carnival of Viareggio’s journey to the US. 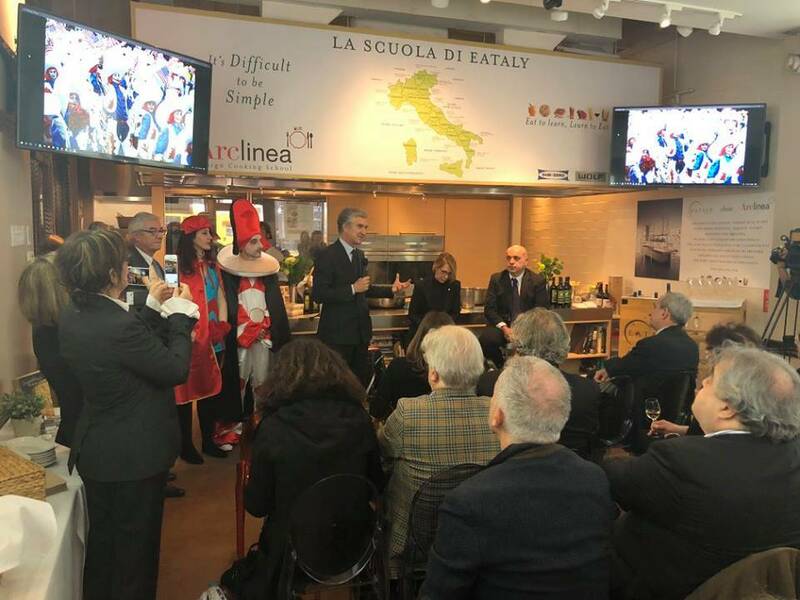 Eugenio Magnani of EM Dreams Factory, a Tuscan at heart, was thrilled to present the event and proud to invite Americans to "get lost in Tuscany” because “you will find something that is absolutely beautiful". Other special appearances include, another Tuscan, Giorgio Van Straten, Director of the Italian Cultural Institute in New York, and Consul General of Italy Francesco Genuardi. The Consul greeted the delegation of the Region of Tuscany and to praise Tuscany's unique beauty. Alberto Peruzzini, the Director General of Tuscan Tourism Promotion then took the stage, and he highlighted the importance of the American market to the Region of Tuscany’s tourism industry: “The US is one of the most important markets for Tuscany. Americans love Tuscany. We had 3 million American students in 2017 and most of them come from the NYC area, California, Texas, and Chicago. We want to invite Americans to be a stable presence here and to get involved with our Tuscan lifestyle getting to know all the different parts of the region. Carnival is an iconic representation of that lifestyle. We want to give our tourists a transformative experience. We want people to come to Tuscany and to come back home happier." Canrnival - a Rock Show! 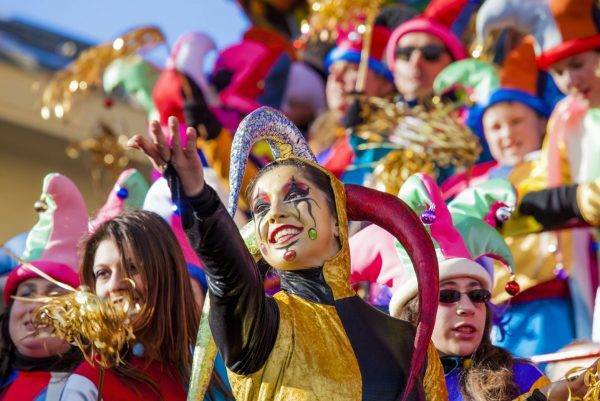 Escorted by two of the most iconic masks of the Carnival, the colorful Burlamacco and Ondina, the President of the Foundation of the Carnival of Viareggio Maria Lina Marcucci, gave a passionate speech on the essence, tradition and importance of the Carnival. We also got the chance to interview her, and to understand more in depth the relevance of this new opening to the American audience. "The idea of promoting the Carnival to the American market came to us from the growth and spontaneous interest of the American public towards this event," Marcucci told us. "Also, we have been told by the most luxurious hotels in Tuscany, like the Four Seasons, that their clients only plan to come visit Florence, and then maybe Siena thinking they have seen all of Tuscany. We offer a different Tuscany, a Tuscany that has the sea, the small art cities, the Apuan Alps, the marble from Carrara and Viareggio, the enchanting city that works the whole year for the preparation of the Carnival. We want to communicate to the American audience the most intimate part of the Carnival, beyond the entertainment. The show is an historical tradition that embodies the stories and the culture of the Italian renaissance, the18th century in Italy, as well as contemporary storytelling filled with important social messages. Every year we have new masks, and additionally, the craftmanship and the techniques for creating masks and carts evolve. Carnival is a rock show!" "We didn’t want to make a predictable promotion, like those ones you do in the hotels as a tour operator. 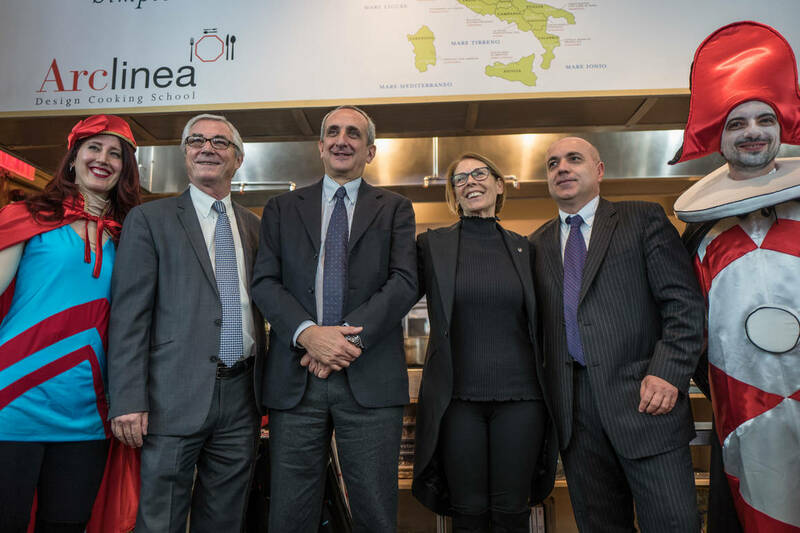 We immediately thought, on the other hand, that Eataly was the best partner for us, since it represents the Italian excellence in the US. 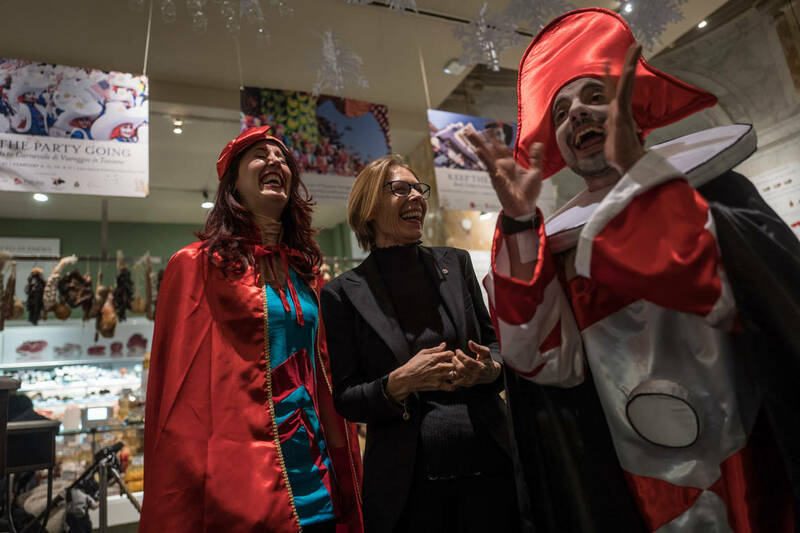 The people who will pass by Eataly in New York and Chicago in the next two weeks will get the chance to meet our Carnival and get to know its program for 2019 and 2020, so they can plan a trip in advance to come and discover this enchanting phenomenon." 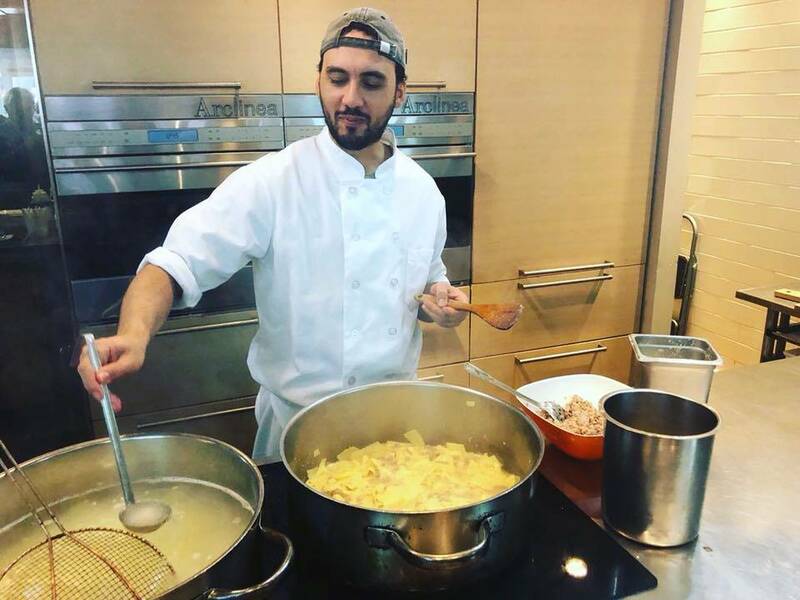 Thanks to Toscana Promozione, the Italian Tourist Board, and EM Dreams Factory, twenty travel suppliers were brought to Eataly to meet the best of the U.S’s demand. There were also two B to B (Business to Business) workshops on January 22nd in New York, and on the 24th in Chicago. 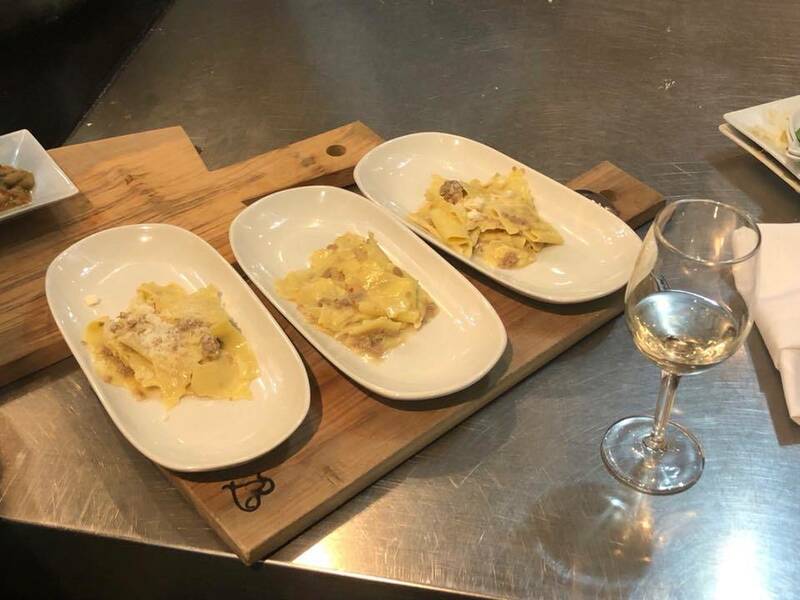 After the presentation, the guests at the event were treated to the best of the Tuscan culinary tradition with a chef cooking live in La Scuola di Eataly’s beautiful kitchen.